I thought I would share with you some Thank You cards which I made to go with all my customer orders for March. In addition to my recent classes, I have also held some parties and all of my lovely customers receieve a thank you card in with their goodies. 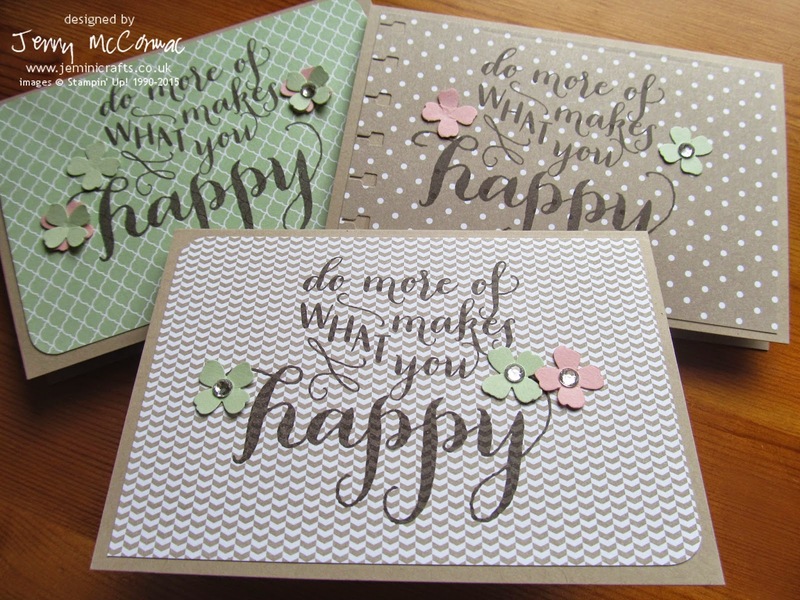 As I had rather a lot of cards to catch up on, and I had some designer paper pre-cut, I decided to make the use of the prepared paper, our ready-to-go Crumb Cake notecards and a large stamp design to make some quick but effective cards. The lovely sentiment is from the 'Hello Life' stamp set which features 10 different stamps. I used one of our little punches to punch some flowers from matching card stock and added a few rhinestones on top. Some of the cards had additional borders added for interest. I love the Crumb Cake colour mixed with Pink Pirouette and Pistachio Pudding.